Vitamin D helps to regulate the amount of calcium in the body, according to the NHS. Calcium is needed to help keep bones and teeth healthy. Not getting enough vitamin D could cause the amount of calcium in your body to drop, too. These are the warning signs to look out for that you may have a calcium deficiency. “Some people won’t get enough vitamin D from sunlight because they have very little or no sunshine exposure,” said the NHS. Medical website Healthline added: “Low levels of vitamin D, which makes it harder to absorb calcium. “Early stage calcium deficiency may not cause any symptoms. A severe calcium deficiency – or hypocalcaemia – can cause hallucinations and muscle cramps. Confusion and memory loss may also be signs of the condition. Other signs include numbness in the hands, feet or face, depression, weak or brittle nails, and easily fractured bones. You should see a GP straight away if you have memory loss, numbness, hallucinations or seizures. Taking vitamin D supplements may help to boost the amount of calcium in your body. You can also increase your calcium intake by making simple dietary changes. Try eating more nuts, leafy green vegetables, milk, soya beans and bread. 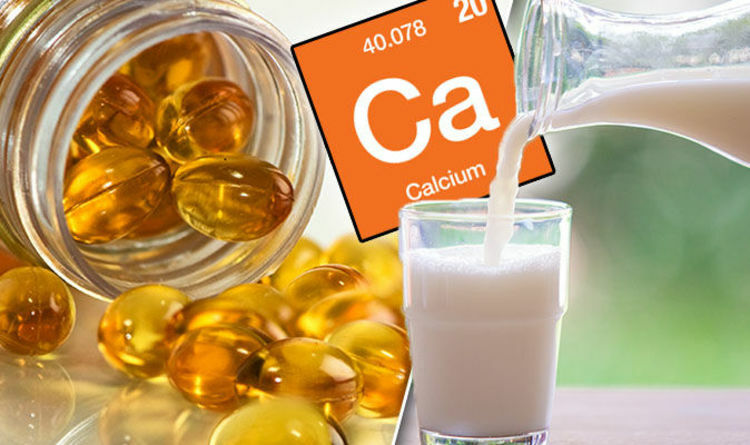 Every adults should aim to get about 700mg of calcium everyday.